[pullquote width=”700″ float=”left”]”If your organisation wanted to replace you with someone far better at your job than you, what would they look for? I think it’s unlikely that they’d seek out someone willing to work more hours, or someone with more industry experience, or someone who could score better on a standardised test. No, the competitive advantage the marketplace demand is someone more human, connected, and mature. Someone with passion and energy, capable of seeing things as they are and negotiating multiple prioritise as she makes useful decisions without angst. Flexible in the face of change, resilient in the face of confusion. 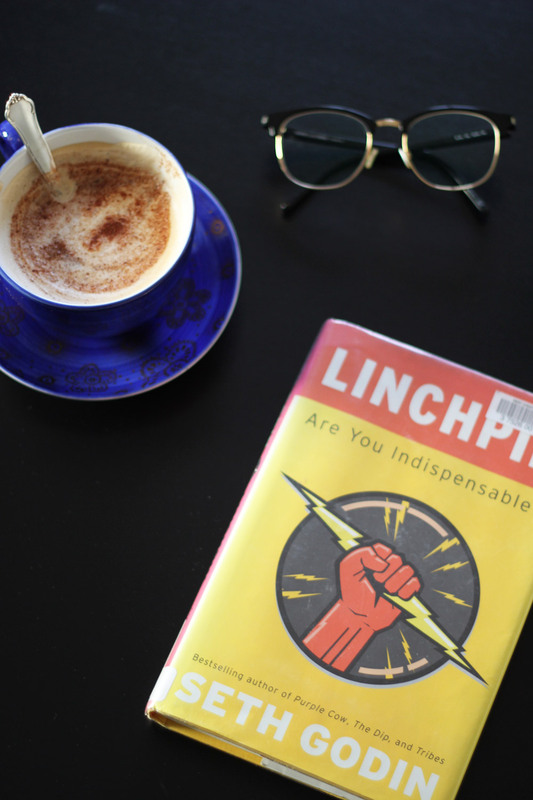 – Seth Godin, Linchpin – are you indispensable? This book is about standing out, doing emotional labour. Brining connection, humanity and creativity to whatever you may work with. With increased competition in the marketplace, some organisations see you as a cog in a machine rather then a human being that contributes towards the company growth and being a vital part in the company itself. (Not all companies are like this but some I suppose, but for example McDonald’s is a good example of this type of organisation) Seth Godin wrote this book to help people stand out, and simply be and bring the best from themselves at work either they are the cable guy/girl or a company exec. This book is about bringing the best of oneself to work, to lead, to create and to make things happen, regardless of job or title. Lets take an example. If I could name only one “Linchpin”, which the books describes, I would use Marissa Mayer (also used as an example in the book). She created billions of dollars for Google by doing her work – as Seth Godin describes it – she is applying artistic judgement combined with emotional labour. She’s not a programmer, nor responsible for finance etc. However she creates value with her work. And I bet she does not have a job spec. Most importantly, its for you, who want to do something, want to act outside your job spec, but is afraid to. This book is for you. You don’t need permission. Read this book! If you want to see work from another perspective as well as learn a lot about the lizard brain – the part of you who stops you sometimes from getting further. Read this. It’s not an easy book, not for everyone, but the philosophy is interesting. This book is about bringing you heart and passion, into your work. To overcome resistance (both external and internal) and shine. Emotional labour – doing what is most difficult but creates the most value. Dare be passionate about your work – it will pay off.